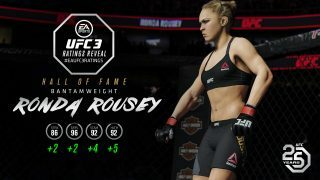 Sean O'Malley and Israel Adesanya make their debuts in UFC 3, while the Hall-of-Fame Edition of Ronda Rousey is introduced. 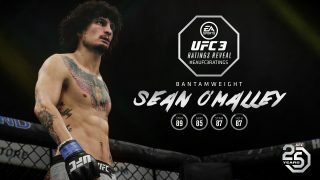 Sean O'Malley and Israel Adesanya step into UFC 3 as two of the most exciting up-and-comers around, and an upgraded Hall-of-Fame Edition of Ronda Rousey is introduced, all in Content Update #9. Along with numerous additions and improvements featured in Gameplay Update #9, you'll be ready to take on all challengers in UFC 3. Sean O'Malley: “Sugar” Sean O'Malley has quickly become a fan-favorite in the UFC, thanks to his creative style and powerful finishes. We were thrilled to have him in-studio to participate in a full day of motion capture, and as a result, his playable character has a range of animations performed by “Sugar” himself. 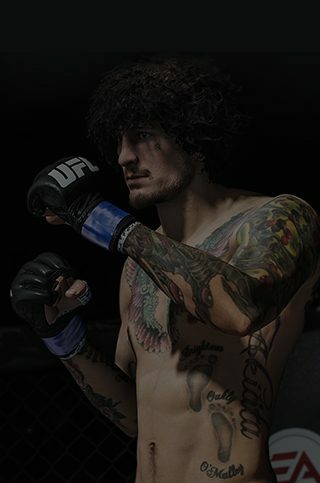 He also comes with a couple of signature moves that are unique to his character, giving you all-new ways to finish opponents while playing as Sean O'Malley in UFC 3. Israel Adesanya: Highly-skilled kickboxer Israel Adesanya brings a devastating fighting style that usually results in highlight reel finishes. Recently cracking the top 10 UFC Middleweight rankings, the 14-0 undefeated prospect known as “The Last Style Bender” enters UFC 3 ready to battle top competition in multiple game modes. Ronda Rousey: Having been inducted to the UFC Hall-of-Fame this past summer, Ronda Rousey cemented her legacy as a pioneer for mixed martial arts. We're releasing a special Hall-of-Fame Edition of her character in UFC 3, boasting powerful icon stats of 86 striking, 96 grappling, 92 stamina, and 92 health to go along with updated gear based on her 2015 run as an undefeated champion. New prospects and gameplay changes are constantly being made in EA SPORTS UFC 3, bringing you a dynamic experience that's always evolving. 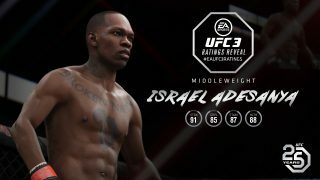 See Gameplay Update #9 for full details on all the latest in-game additions to UFC 3.